Last year, studies showed that the UK’s favourite car colour was black. While it seems like one of the more obvious choices, we wanted to know why? We’ve asked some of our specialists if they believe there’s a reason for this. 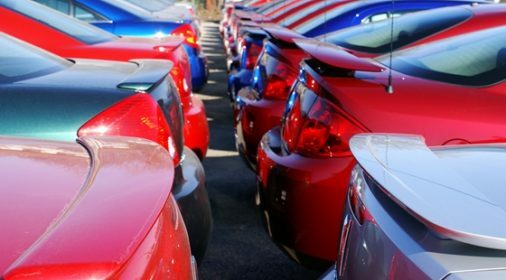 Using their expert experience and understanding of car paint, we have delved into the ‘why’ of the UK’s favourite car colour. With black taking the top spot for the UK’s favourite car colour, it was interesting to see where other colour paints placed in the top 10. The results listed below see an array of non-conventional colours creeping in (albeit in lower positions) with bronze re-entering the top 10 for the first time since 2011. 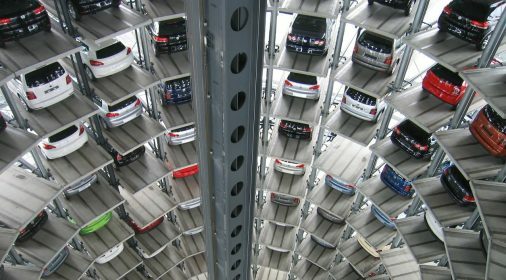 While conventional colours are often chosen when picking a new car, motorists are becoming more daring in their selections. 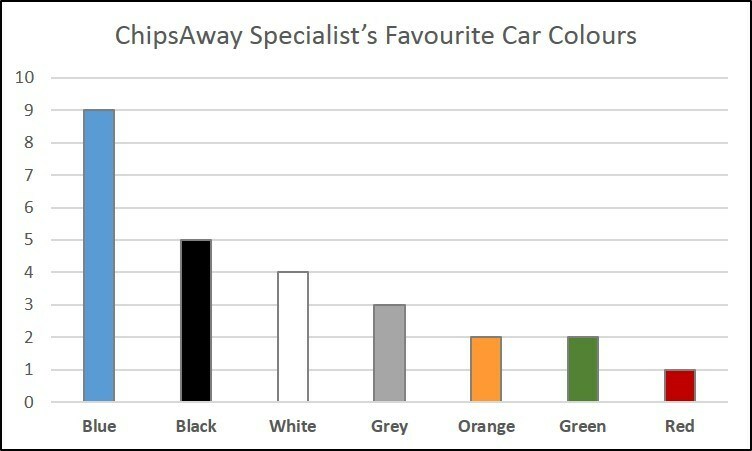 Unsurprisingly, when we asked our specialists what their favourite car colour was, their results vastly differed from those in the chart. Choices varied from Estoril Blue to British Racing Green. 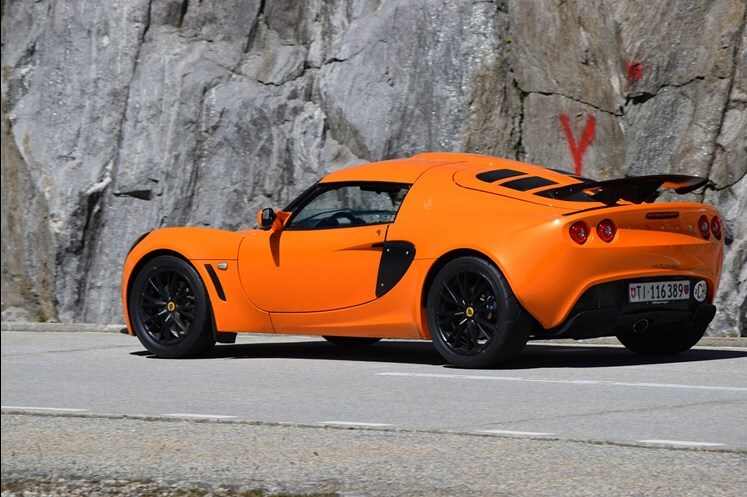 Whereas others were more specific with the shade, choosing manufacturer specific finishes like the Audi Navarra Blue to Burnt Orange, like that found on the Lotus Exige. Other favourites were swayed towards more traditional colours when other factors were involved. For instance, one specialist had to settle for black paintwork since only 13 of the desired model were made! Can the Colour of a Car Reflect your Personality? Why does the car colour matter? For those that see it as a way to express their personality, your car colour can say a lot about you. Unbeknownst to many motorists, experts claim that there is psychological reasoning for selecting the car colour we do. Colour psychologist Angela Wright, believes that each colour is associated with different emotions. We have chosen this year’s top 3 to understand why they may be in the positions they are. According to Wright, black represents being safe and secure whilst also being associated with sophistication and elegance. So for a neutral choice, with a high resale value, black is a practical choice for your vehicle and also a likely reason why this stole the spotlight in 2017. The second most purchased new car colour was grey, again reiterating the neutrality of black and white, and often reflects a practical, pragmatic individual or organisation. If you are in pursuit of the practicality of grey but require something a bit more eye-catching, silver is a great option. Holding the top spot the year before last, white was once the favourite for new car drivers. Representing purity and clearness, white is statistically the safest car colour due to its visibility on the roads. Whereas for car mod enthusiasts, customising their ride is the ultimate way to express their personality. Custom options include car wraps or even more long term changes like complete car resprays. Apparently, these methods are often associated with more extrovert characters who really want to stand out among the crowd. For many motorists, practicality means more than safety features and space. Choosing a practical car can also refer to the colour as this can reduce cleaning and overall maintenance. In particular, the potential damage that will occur over time to the paintwork is worth considering when choosing the colour. Damage to the paintwork can often be repaired quickly and affordable, however, if you’d prefer to avoid counting new chips and scuffs on a daily basis, a lighter car colour may be for you. Which Car Colours are Better at Hiding Scratches? 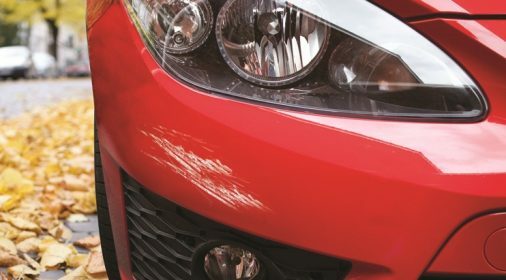 A common question asked is ‘what colour is best for hiding scratches?’ In our opinion one of the best colours for hiding minor dents and scratches is white. The reason for this is because its bright colour helps minimize the appearance of scratches, especially when it’s a bright day. While white is the best colour, you won’t go wrong with other lighter colours, such as silver or grey. Since our technicians are trained at repairing paintwork scratches of all shapes, sizes and finishes, the car colour doesn’t impact our service at all! Whether your car is black, white, green or gold, maintaining the original shine is the overall goal. With so many products on the market claiming to do just that, it is worth taking time to research the best items for you. 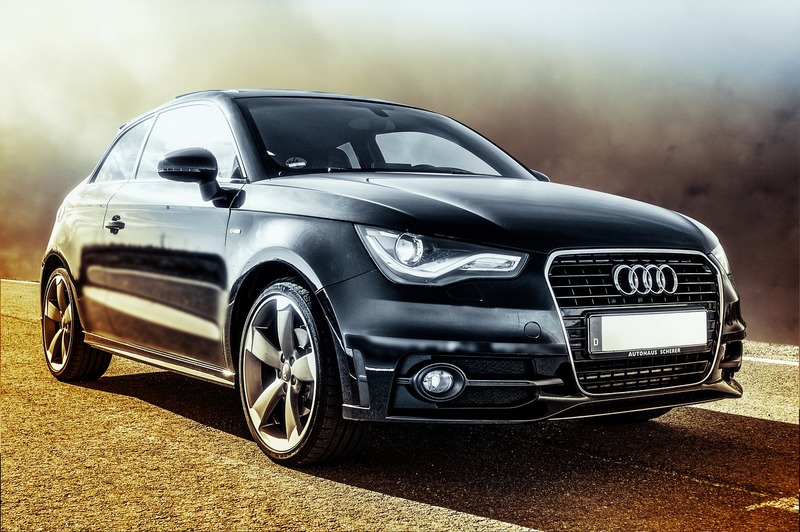 However, if you don’t have the time to scour the market, our helpful guide of the best car products to protect your paint is a quick read full of useful information. While it’s a little early to know the UK’s favourite for 2018, experts have suggested that blue will be the next trend. Without the data, they can only predict that this will be a result of car manufacturer strategies, rather than consumer preferences. Judging from the feedback we received from our teams, we would have to put our money on blue, with black trailing behind in second, followed closely by the recurrent white. Do you have a firm favourite that you believe has the ability to steal the limelight for 2018? Let us know your thoughts on Twitter and Facebook! What Are the UK’s Top 10 Most Popular Car Colours? Does the Colour of Your Car Make it More Prone to Prangs?